Have a question about your pavers? We're here to help! Have a read below or contact us today. What are paving seconds, yard specials or factory second pavers, and do you sell them? 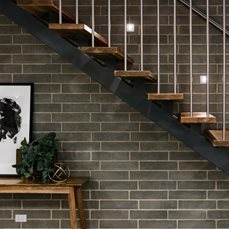 Yes, Midland Brick sells all of the above when we have stock available! Paving seconds, yard specials and factory second pavers are non-standard products and may fluctuate in size, colour and texture, and some may have minor chipping and cracking. hese can be used for cuts and infills. 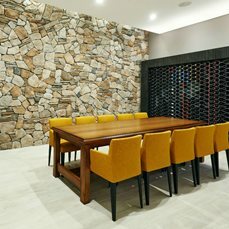 Non-standard products are available from Midland Brick branches only, and we recommend viewing them in-store before purchase. We recommend that factory second pavers, paving seconds and yard specials are not used for driveways, crossovers or swimming pool surrounds, unless otherwise stated. Please check with your Midland Brick sales advisor prior to purchase. 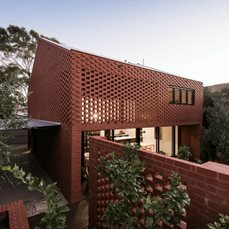 Does Midland Brick sell cheap pavers? Absolutely! We have a range of paving options suitable for all budget, including budget-friendly and "cheap" pavers. Our Masterpave 50 range of classic finish pavers provide an economical option for domestic driveways, paths and alfresco areas. From time to time, we also offer factory second pavers at heavily discounted prices as well. These are non-standard products and may fluctuate in size, colour and texture, and some may have minor chipping and cracking. hese can be used for cuts and infills. Non-standard products are available from Midland Brick branches only, and we recommend viewing them in-store before purchase. Are there special instructions for paving crossovers and driveways? Midland Brick recommends the use of a sub-base layer under all segmental brick pavement subjected to vehicular traffic in accordance with accepted engineering principles as referred to in Crossover and Driveway Guide. When paving crossovers you should first contact your local council to ensure you comply with their specifications. In some cases you may be entitled to a rebate from your local council. What type of sand should I use for paving? There are two types of sand generally used for paving in WA - bedding sand and joint filling sand. Bedding material should be well graded clean sand. A well graded concreting or plasterer's sand is considered suitable. Salt attack is a potential problem with some clay and masonry paving and the capillary break provided by the bedding sand is essential. Fatty sands, loams or packing sands are not suitable. Joint filling sand should be clean, sharp, well graded and finer than bedding sand with no soluble salts and no excessive fine material. Washed dry white sand is recommended. How do I remove tyre marks from my clay pavers? Tyre markings may appear on any type of pavement surface due to tyre compounds, vehicle weight, direction and the action of power steering. What about paving around salt water pools? When paving around swimming pools, Bullnose pavers are recommended for use as pool edging. Paving should be protected from salt water with a suitable sealer to a minimum width of 2 metres from the pool edge. Midland Brick recommends sealing both sides of the bullnose paver prior to installation, for best performance. Midland Brick sells a range of sealers, with options providing different finishes and for different purposes - including sealing pavers around pools. Please ask your Midland Brick sales advisor for more information, or call 13 15 40. Please note that sealers should be renewed periodically as recommended by the sealer manufacturer. When clay or masonry product is subjected to severe salt attack situations, some deterioration may occur over time. Does Midland Brick sell sealers? Yes, Midland Brick does sell sealers suitable for a range of different paving materials (i.e. masonry/concrete or clay) and applications (i.e. around a pool, high traffic). We even sell a non-slip additive that can be mixed with the sealer for use on pavers around pools and water features. 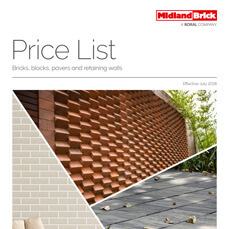 Please ask your Midland Brick sales advisor for more information, or call 13 15 40. My pavers vary slightly in colour. Is this normal? Whilst every effort is made to supply pavers consistent with examples, variation will occur naturally within a production run and with each production run of pavers. When ordering pavers, we recommend they are all delivered at the same time to ensure colour consistency, as colours will vary within and between batches. For the best colour results, Midland Brick recommend that you blend your pavers from various packs as you lay. 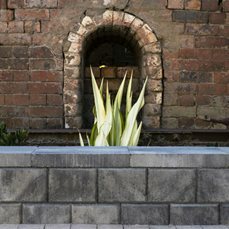 Handmade pavers are unique to Midland Brick and have been made to appeal to those who favour rustic charm, as each firing creates a very individual look to achieve the traditional character. Handmade pavers feature variations in colour, texture and size. To achieve the desired effect, care is required with blending from several packs. We recommend personal selection of Handmade pavers. A Midland Brick sales advisor will be pleased to help you select pavers for your project. How do I cut my pavers? When cutting pavers please ensure they are fully wetted (soaked with water), to reduce the chance of discolouration from cutting slurry entering the product surface. Similarly, ensure all slurry is washed from any cut product before laying. To avoid unsightly and hard to remove stains, ensure that no cutting slurry falls on surface of product already laid. It is also very important that you use the correct personal protective equipment (PPE) when cutting bricks or pavers. What thickness pavers should I use? The area which you are paving will determine what thickness paving you will need. 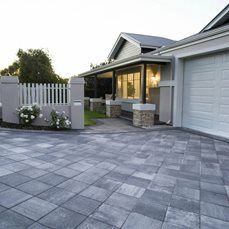 If you are paving pedestrian areas, such as patios, courtyards, footpaths, pool areas and side areas you can use any paver thickness, however you can save money if you choose from our selection of 40mm pavers, such as those from our large format range of paving (Promenade Classic and Granite and Stylestone). 40mm pavers will help you save money and are perfect for these pedestrian only areas. If you are paving a driveway or area where vehicles (excluding heavy commercial vehicles) will be driving on your paving, you will require a 60mm paver. The extra thickness of our 60mm pavers ensure they are strong enough to withhold the weight of vehicles and will not crack. If you are paving an area where heavy commercial vehicles may be driving on, such as trucks, then you may require a thicker paver such as our 76mm Roadpave clay paver or a paver from our commercial paving range. 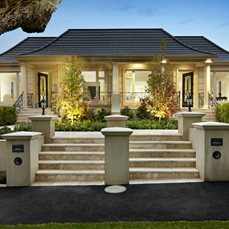 For best advice it is recommended you discuss these options with one of our sales advisors, or call 13 15 40.